This Google Slides presentation is from our class that ran this summer. 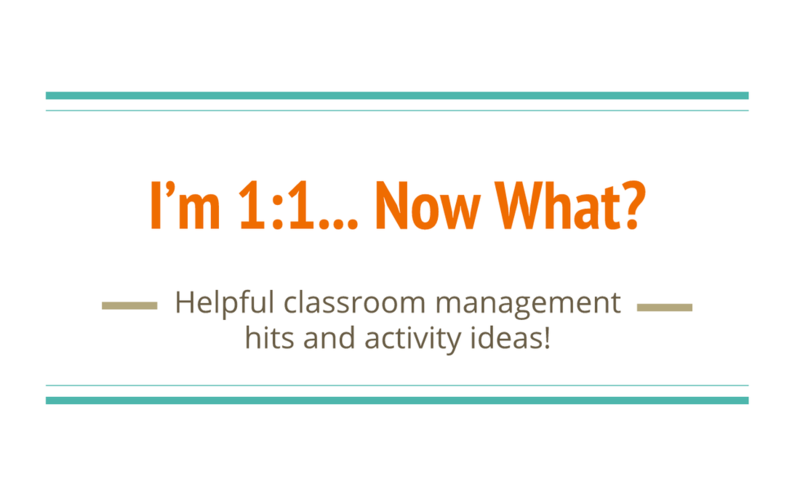 It contains 1:1 ideas for classroom management, routines, beginning of the year activities, as well as an overview of Schoology and Notability. Why did we go 1:1? An explanation that explains the 4C's and where you can find the HMS Tech video! The more routines, use of common language, dealing with students who don't follow the iPad Oath, what you can do as a teacher to better manage iPads in your class. Here are some ideas for "get to know you" activities that you can use at the beginning of the school year. Schoology Support Page - search things like "using rubrics" or "adding materials" for some how-to directions. Please--Do not try to organize Notability dividers/ subjects with your students. Ms. Sloan or Ms. Sutton will be in the classrooms to help set it up. Using QR Codes can simplify routines like lunch count, book check-out, hallway passes and more!